Be willing to do lots of research. Finding funding sources may take some creativity and asking around to find out what alternative options are available to those with special needs. Similar to applying for different scholarships to help fund a college education, applying for different funding programs for those with disabilities can assist with the cost of purchasing your wheelchair van. Select the base model of the vehicle you want, instead of ordering fancy upgrades that may be nice but are not required. This will free up as much money as possible to put toward the conversion kit and labor costs. Consider buying gently-used instead of new to save with some of the cost of the vehicle. However, use caution when buying used; make sure your vehicle comes from a trusted authorized dealer, and never buy without first seeing the vehicle in person. Also, inquire about warranty options, as many used wheelchair van dealers do offer warranties with certain vans. Look into state funding sources for those with disabilities. Many times, both can assist you toward your purchase. 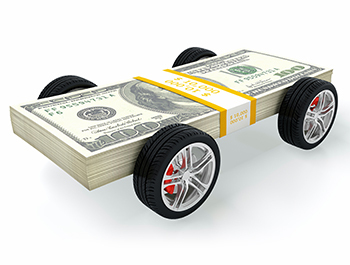 Ask about rebates direct from the vehicle manufacturer. More information can be found here. Some mobility van companies also offer rebates for first-time vehicle purchasers toward certain vehicles, such as VMI’s rebate program for veterans who are first-time wheelchair van purchasers. Be sure to inquire about the rebates these companies offer. Use lenders who specifically deal with those with disabilities. Many times, these lenders offer more flexible and long-term loans than traditional auto lending companies. Research different nonprofit organizations for those with disabilities. Sometimes they offer financial assistance to those who need help paying for various costs. Consider fundraising, either in your local area or through online channels such as GoFundMe. If you receive a tax refund, put that money away immediately toward the purchase of a wheelchair van. And speaking of taxes: Ask your tax accountant if there are any exemptions available to those with disabilities when purchasing a wheelchair van.